Coded messages based on the Cree language made it difficult for the enemy to monitor and decipher Allied transmissions during the Second World War. My uncle Charles “Checker” Tomkins was a very humble, proud, humorous Métis man, who later in life became a member of the Poundmaker’s Reserve in Saskatchewan. 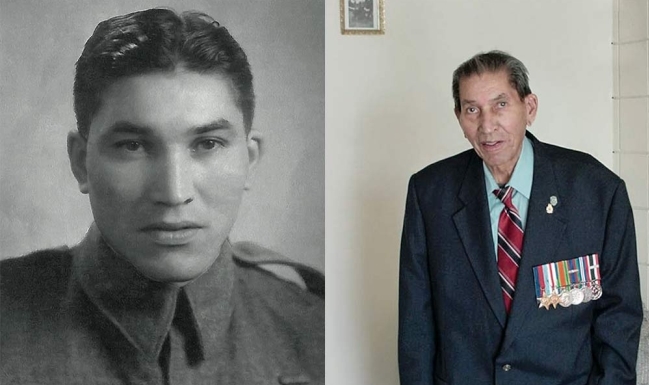 In 2003, just two months before Uncle Charles’ death at the age of 85, Smithsonian Institution representatives Tim Jones and Kevin Lewis came to Calgary to interview him about the Cree Code Talkers program he was part of during the Second World War. Charles was born January 8, 1918, in the village of Grouard in northern Alberta, to Peter and Isabelle Tomkins. He was one of eight children and four stepchildren. His grandparents were Peter and Marie Tomkins. He married Lena Anderson in 1940 and joined the army soon afterwards. My uncle spoke fluent Cree and credits his grandparents for teaching him the language. His grandmother was Cree and his grandfather was Caucasian, but also spoke fluent Cree. His grandfather taught him how to say things in Cree that were not actually part of the language at the time—modern references such as airplane or train, for example. The “Cree” being spoken back then was usually a blend of English, French and Cree, but, according to Uncle Charles, the version his grandparents spoke made more sense than that of any other Cree speakers he knew. The army sent Uncle Charles overseas in 1940 and he said the voyage was horrific. There were more than 800 soldiers on board the ship, and they were fed salt herring and plain beets every day! Charles said he slept in a hammock and had a heck of a time getting into it each night! 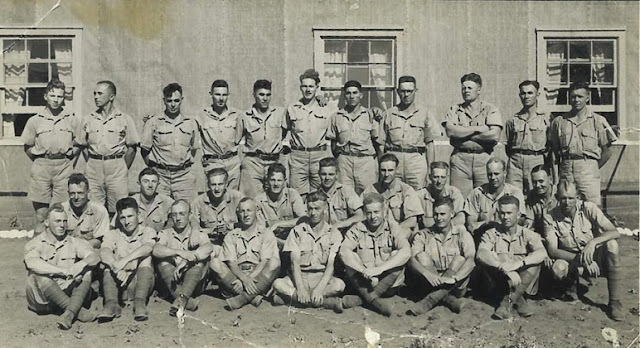 Responses to "How Cree Code Talkers From Alberta Helped Win the Second World War"